The Tranquility Compact Series is available in 6 tons through 10 tons with belt-drive blowers, and multiple cabinet configurations. The extended range refrigerant circuit is capable of ground loop, ground water, and water loop applications. 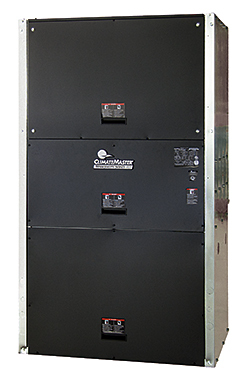 Vertical units available with front or back return air and top, front, or back supply air discharge.